Sonoma Valley Post-2017 Fire Survey Update is now online The October 2017 Nuns fire damaged homes, businesses, and the Sonoma Valley's iconic landscapes. It also damaged the Valley's priceless historic resources. A report documenting the impact of the fires, funded by a National Trust for Historic Preservation grant to the Sonoma Valley Historical Society, was prepared by Painter Preservation and is now available online. . The report updates the survey of over 275 properties in the Sonoma Valley conducted between 2012 and 2014. Featured properties include the Justi Adobe, the Bouverie Audubon Preserve, the Buena Vista Winery, the Chateau St. Jean Winery, the barns at Glen Oaks Ranch and Sunnyslope Ranch, Larigne's French Resort, and Eldridge Farm at the Sonoma Developmental Center. Article featuring Pietro Belluschi's Aloha Farmhouse is now online In 2014, while employed at the Oregon State Historic Preservation Office, Diana Painter wrote the National Register of Historic Places nomination for Pietro Belluschi's Aloha Farmhouse in Beaverton, Oregon. Internationally recognized modernist Pietro Belluschi remodeled the modest country farmhouse for his own family, who lived there from 1944 to 1948, and used it as a venue for experimenting with his ideas on regional modernism. Today it is the last intact building in the Portland metropolitan area that Belluschi designed for his own personal use. Now on the market, the property was featured in a September 2018 article in OregonLive, noting the forthcoming lecture by Belluschi's son Anthony on growing up in the farmhouse. A copy of the National Register nomination is available here. Painter Preservation's work on the Spokane Mid-20th Century Modern Context Statement and Inventory was recognized with a national award from the National Alliance of Preservation Commissions at their recent meeting in Des Moines, Iowa. The Commission Excellence Award went to the Spokane Landmarks Commission for their role in sponsoring the project, which was recognized for its active engagement of the public and its social media strategy. 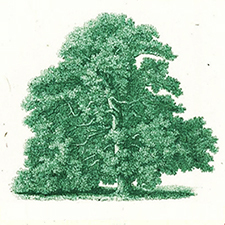 For more about the project, see the dedicated webpage. Painter Preservation along with Helveticka has been recognized for the "Spokane Mid-20th Century Modern Context Statement and Inventory" project, which has won the Washington State Historic Preservation Officer's Award for Outstanding Achievements in Historic Preservation in the area of Media. We designed a robust social media campaign for the project in order to "get the word out" about Spokane's great modern resources. Among the strategies was to post a different building every week on the Spokane Historic Preservation Office's Facebook page, which greatly enhanced its following. For more about the project, see the dedicated webpage. Diana Painter will be presenting a paper at the March 14-18, 2018 Conference of the Alliance for Historic Landscape Preservation entitled, "Landscapes of Succession, Paraiso Hot Springs and Jonesboro Ranch, Two Case Studies." This paper explores two contrasting strategies for the re-development of two large rural properties that have been actively used since the time they were occupied by Native Americans. Both located in rugged, arid locations, they each present their own challenges in balancing preservation and conservation. 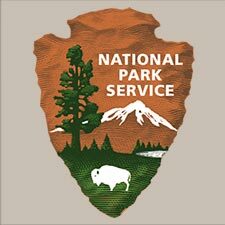 I am pleased to announce that Painter Preservation has been selected to be part of a three year, On-Call contract to evaluate historic resources in the City and County of San Francisco. 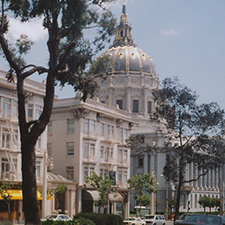 San Francisco is a fascinating city, and we are looking forward to the challenge! 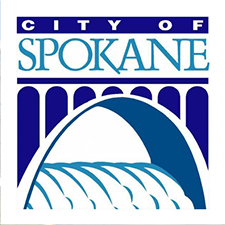 I am pleased to announce that I have been appointed to the City of Spokane Plan Commission. The Plan Commission provides for public involvement in planning issues and makes recommendations on planning goals, policies, and regulations to the City Council. 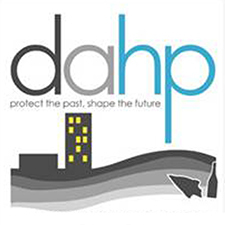 A recent action was the recommendation of a progressive new historic preservation ordinance on behalf of the City's Historic Preservation Office. 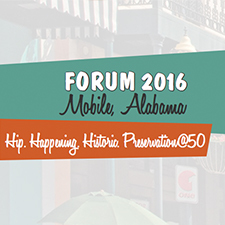 Diana Painter moderated a panel discussion at the Forum 2016 annual meeting of the National Alliance of Preservation Commissions in Mobile, AL. The panel discussion, entitled, "Preservation Plans: Community engagement, development and implementation," focused on preservation planning and featured the historic preservation officers for Tacoma, King County, and Olympia, all in Washington State. 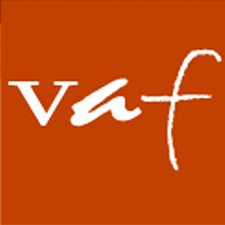 Diana Painter was selected to present a paper at the 2014 meeting of the Vernacular Architecture Forum, which took place in Galloway Township, New Jersey this year. Her paper, entitled "Pietro Belluschi's Aloha Farmhouse, An Evolving Vernacular Vocabulary," focuses on a Craftsman-era residence that renowned Pacific Northwest architect Pietro Belluschi remodeled and lived in with his family from 1944 to 1948. The paper focuses on the influences on Belluschi's residential architecture in this time frame, as evidenced in his remodel of this modest farmhouse. Diana Painter offered a presentation on Painter Preservation's survey of mid-20th-century architecture in Montana at the 2012 meeting of the Society of Architectural Historians Marion Dean Ross chapter. The survey, which focused heavily on public and educational resources, such as college and high school campuses, took place throughout the state in 2009-10. The title of the talk was, "Surveying Mid-Century Modern Resources: The Montana Experience." The project was sponsored by the Montana Historic Preservation Office and was funded with a Preserve America grant.